Hi loom fans! 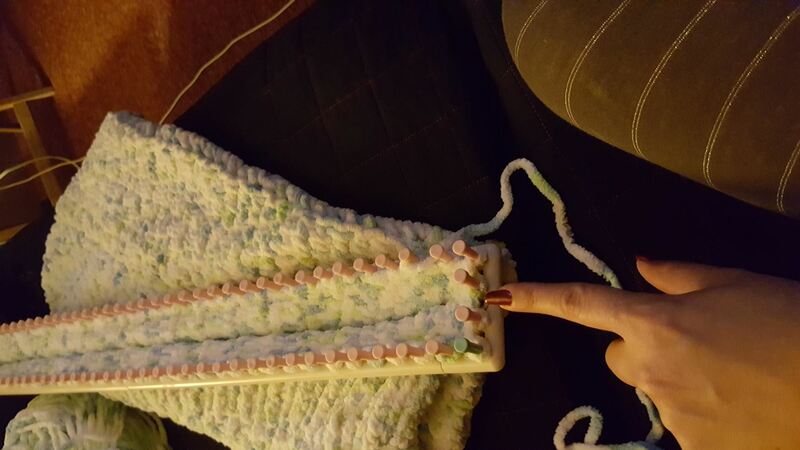 This is Kristen again with GoodKnit Kisses with more helpful tips and tutorials for YOU! Today I've uploaded two new videos to my YouTube Site! One video shows casting off the rectangular loom from a Twisted Knit Stitch or Single Rib Stitch. The next video does something I've never found by using Google or searching videos on YouTube. Trust me this will SAVE YOU TIME and YARN! yay! How To: Make a Wiccan "God's Eye" or "Evil Eye"
News: Curious About Loom Knitting? Hi I am making a sleeping bag for my 2 1/2 year old nephew. I am at a point were I want to create the opening along the sides. How do I do that. Any help would be appreciated were I am pointing is the end I'd like to open up.